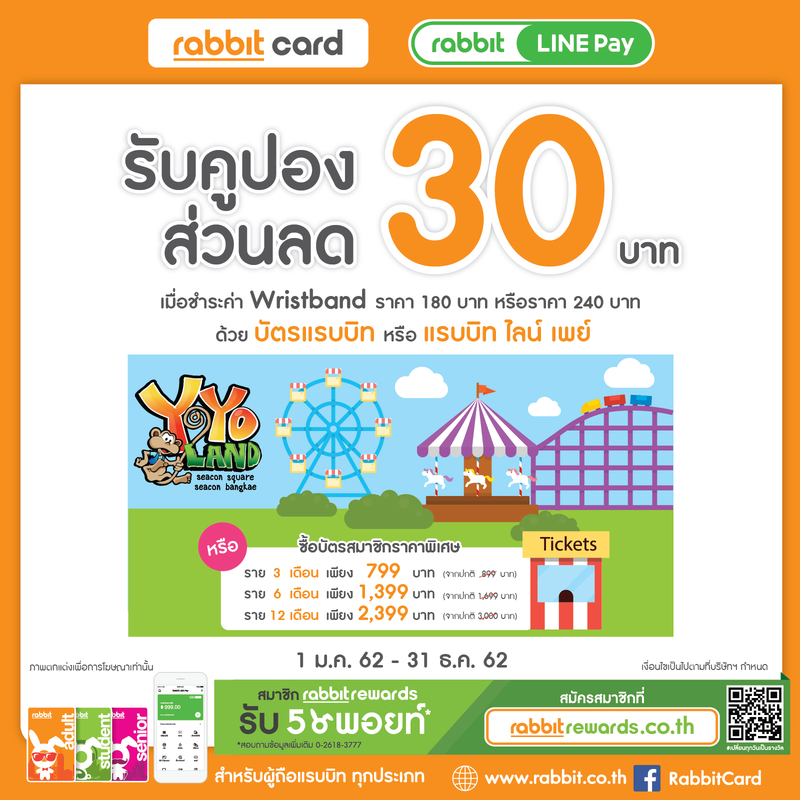 1 Rabbit Card or 1 Rabbit LINE Pay account per 4 admission tickets. This promotion cannot be used alongside any other promotions and / or coupons. This promotion cannot be exchanged for cash, refund or exchange tickets. 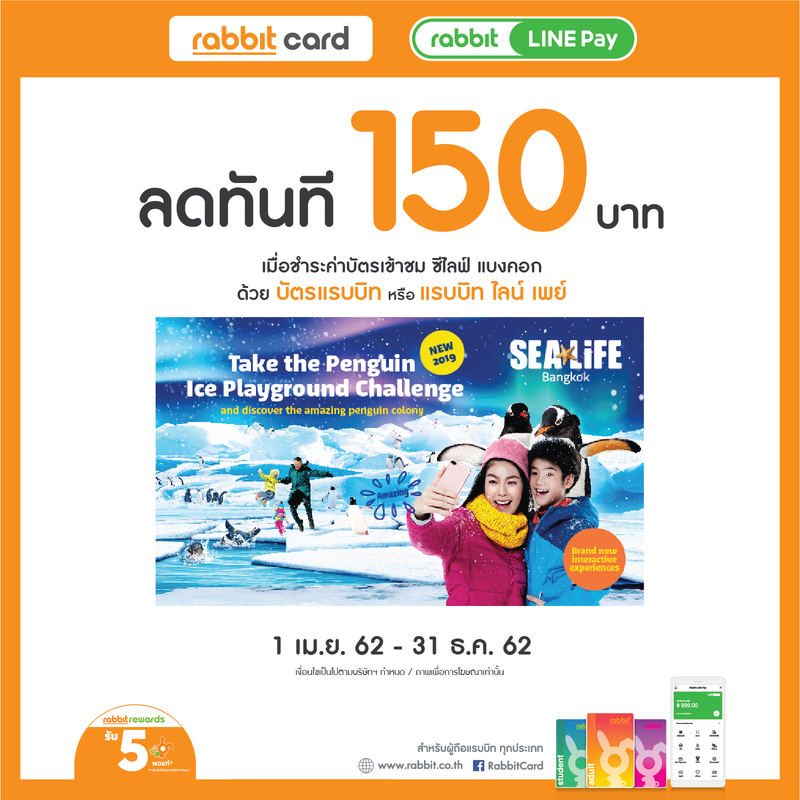 Sea Life Bangkok Aquarium reserves the right to change terms and conditions, amend, or end each of the promotion at any time and operating/ opening hours without prior notice. This picture is for advertising only.